My son and my husband both underwent surgery, and we spent a lot of time at the hospital. With such unexpected chaos, I was not exactly on top of my parenting game. My older kids were basically at home fending for themselves. I'm sure they were playing too many video games, watching inappropriate movies, eating junk, and staying up too late. (One night they went to the movies and ate candy for dinner.) I wouldn't have minded so much except that my best friend's son was visiting from Arizona. I'm not sure he showered or had a home-cooked meal his entire visit. That, my friends, is the kind of week it was. Thankfully, we leave for vacation tomorrow. Hallelujah! 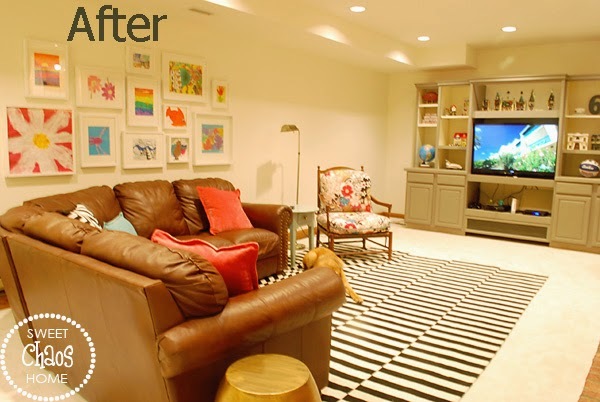 But, before I sign off for a bit, I wanted to share an update on our basement makeover. 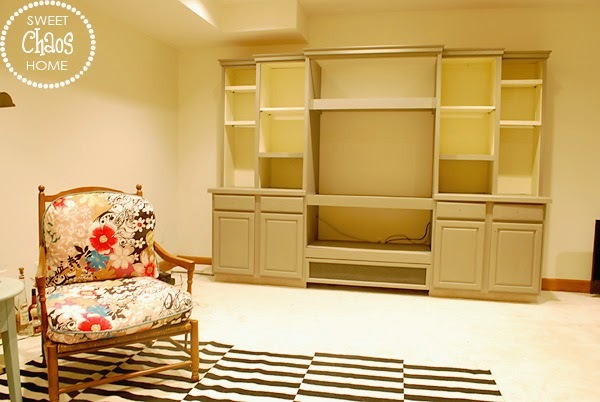 The cabinet was originally built to accommodate a large TV, and when the TV bit the dust, we were left with a big, gaping hole. 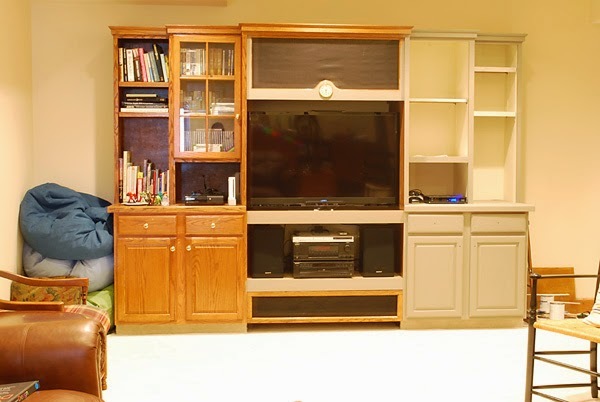 We built a shelf, so our smaller TV would fit and we could store the components below it. 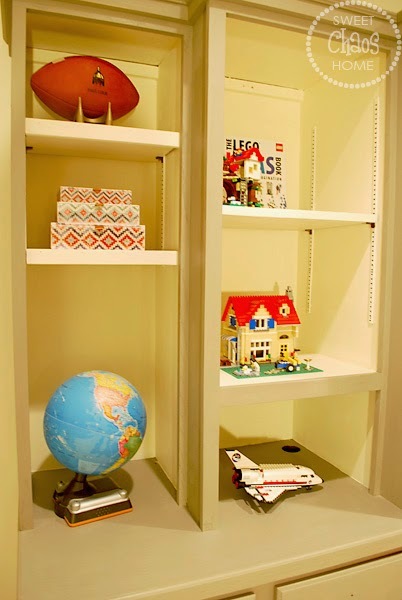 Below you can see that I removed the glass cabinet doors in favor of open shelves. 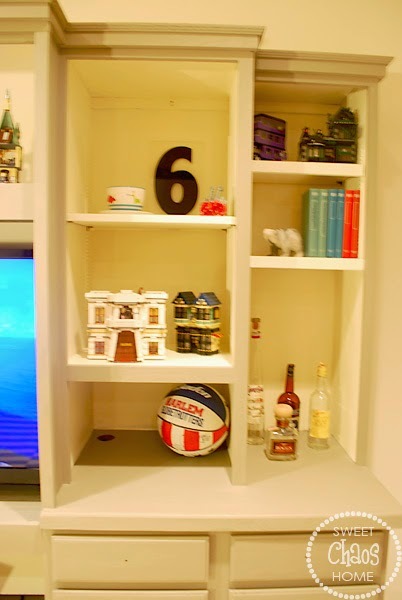 I used Annie Sloan chalk paint in "French Linen" and "Old White." 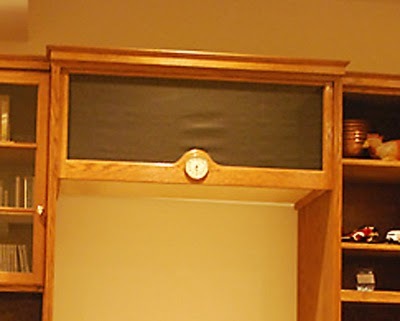 We removed the ugly fabric and replaced the "clock" molding with a plain piece of wood for a simple, updated look. My next step will be to add a piece of plywood behind the media components to hide all the ugly wires. I also need to add hardware. 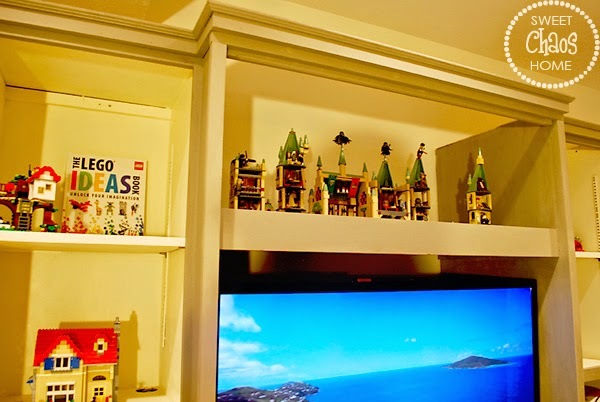 Since this area of the house is primarily the kids' domain, I decided to accessorize with some of their favorite Lego creations. I'm really pleased with how the media center turned out. I originally wanted to rip it out, but once again, the power of paint prevailed! Hope you all had a better week than we did! Can't wait to be on vacay. You can follow my travels on Instagram. 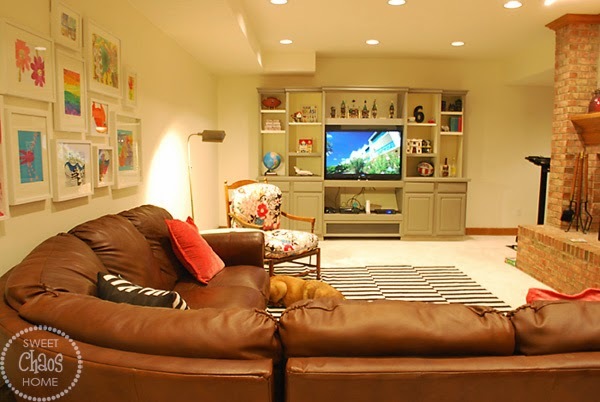 Hi Carolyn, Sounds like your vacation is arriving at the perfect time:) The basement turned out great and I'm sure you will enjoy the fresh new look. I can relate to the chaos as we are in the midst of building .. what a mess! Hope your family is on the mend. You've done such a fabulous job here. So much more updated. Gosh what a week you had! Hopefully you're enjoying your well-deserved vacation! 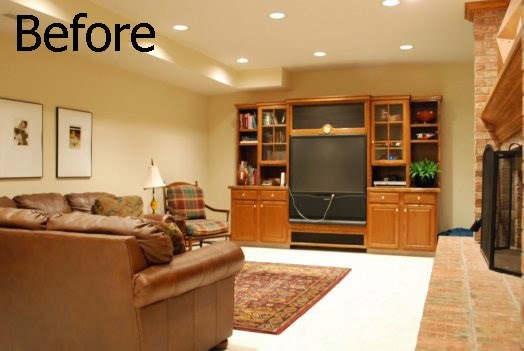 I love the new look of your media center - such a huge difference with the colour!